Based in Eastbank House on Eastbank Street, Southport test centre can be found just off the busy A570. Nearby businesses include Southport Carpet Centre, Southport Motorcycles and Kwik Fit. 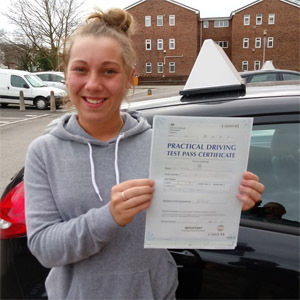 If you're one of the many learner drivers choosing to take your practical at Southport test centre, we'd recommend getting to know it a bit better. Read on for directions, pass rates, test routes and much more about Southport. Ideally located in the centre of Southport itself—right next to the A565 on Lulworth Road—learners will be able to find Southport test centre with little-to-no effort at all. If you've not had the chance to visit the centre yet, simply follow directions here and you'll get there just fine. The DVSA no longer publishesup-to-date test routes. You don’t have to worry, however. 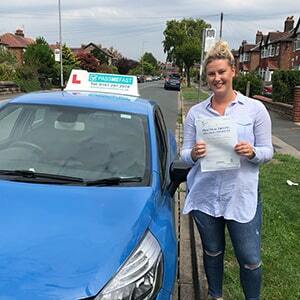 You can get an idea of which specific roads might feature on your practical by looking at videos of Southport test routes on YouTube or by downloading our sample Southport driving test routes. While test centres are different, examiners tend to use the same types of road features on their routes. If you're learning with a local ADI, they'll be able to introduce you to these roads and ensure you're completely test-ready by the end of your course. We all know how much learner drivers love to check pass rates. That’s why we’ve put together a few just for you. The national pass rate for the UK is currently 47%—rising slightly to 47.3% for learners in the North West. So what about learners at Southport test centre? Southport’s been resting comfortably above the national average pass rate in the last 5 years. Not won over? That’s fine. Instead of concentrating on statistics and chance, you should instead concentrate on improving your individual driving ability in time for your practical test. What If I Can't Go To Southport? With a nice selection of test centres available in Merseyside, you don’t have to worry—Southport’s not your only option. The closest alternate centres are Norris Green and St Helens. Once you’ve made your way back to Southport test centre, you’ll be told your result. The examiner will walk you through any driving faults you made by using a feedback sheet—offering any additional verbal feedback as they see fit. If you're successful, you'll get a test pass certificate. Your provisional licence won’t be valid anymore, so you’ll have to send off for your new licence. Do you like to prepare for the worst? If the answer is yes, we’ve got you completely covered. Failing your practical doesn’t have to be the end of your learning journey—it’s only a temporary setback. 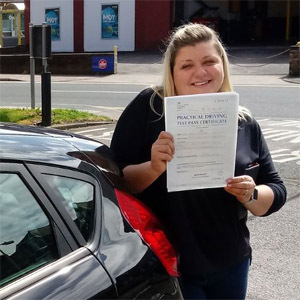 PassMeFast can get you back on the road with a fast-track practical test and one of our refresher courses (if necessary). To get started, simply contact us on our website or give us a call on 0333 123 4949. Looking to get passed in a matter of weeks or even days? PassMeFast offers intensive and semi-intensive courses with experienced instructors that will take you through everything you need to know quickly and efficiently. You don’t even need to worry about long waiting times because all of our courses come with a fast-track practical test. Don’t waste your time with single lessons—check out our course prices and contact PassMeFast on 0333 123 4949 today to enjoy the wonders of a crash course. Alternatively, book a course online to get the ball rolling. I would definitely recommend booking with this company! I am over the moon that I have passed—couldn’t have done it without Noel! Great service! Instructor Mike Wake is a credit to this business and couldn’t rate him high enough. Thank you once again! Highly recommend PassMeFast. My instructor Mike was a star. Thank you for having the patience to teach me to drive— You deserve a medal!